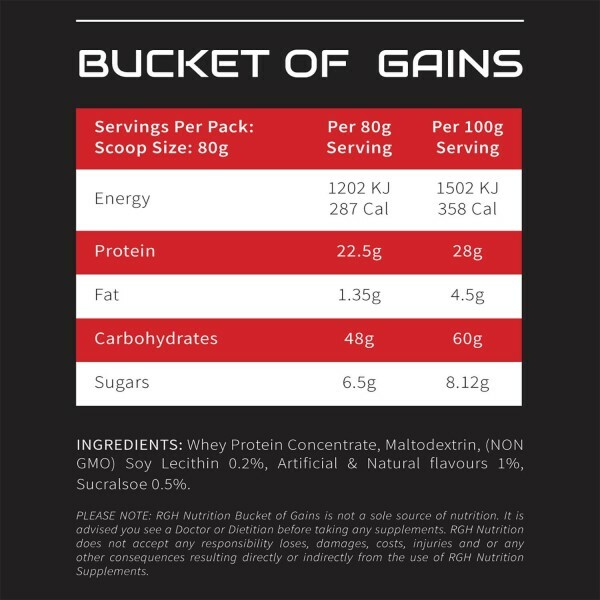 Bucket of Gains is RGH Nutrition’s ultra-premium lean mass gainer. 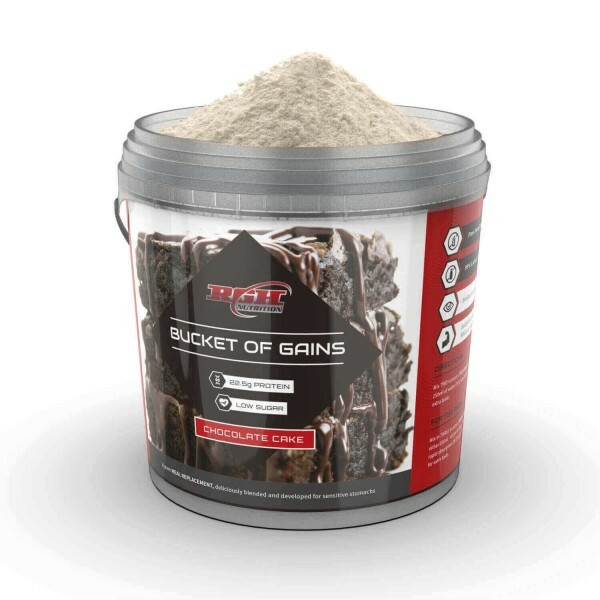 Bucket of Gains is RGH Nutrition’s very own ultra-premium lean mass gainer. Our original formula is designed to support muscle growth and muscle recovery like no other gainer on the market. More strength, more carbs and lean protein, for superior muscle and strength growth! 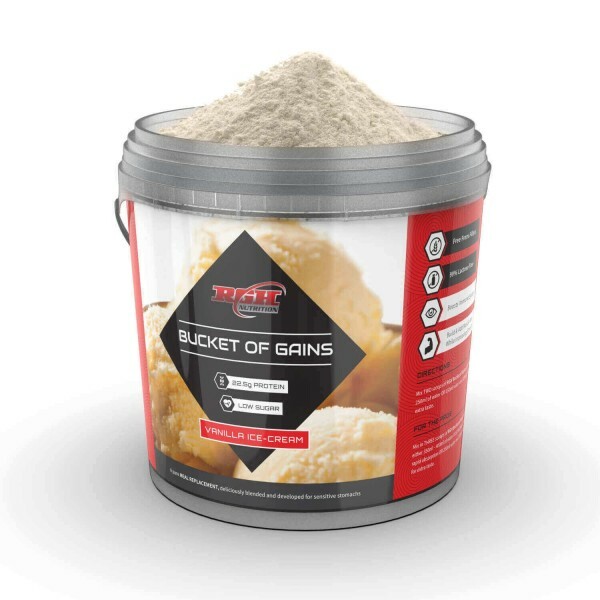 RGH Nutrition Bucket of Gains brings a formula that will aid to faster, better and more efficient way of building mass and gaining weight efficiently. The 67.5g of protein per serving (3 scoops), super-low in sugar and lactose, mean that your body will be empowered with pure protein, and super lean carbs low in sugar and fat. It’s a lean, healthy and empowering nutritional drink after a workout. Forget about cheap tasting gainers that are simply repelling. We remastered our formulas just so we can be proud in the 5 different tastes of the premium muscle gainer. Pick from Chocolate Cake, Banana Choc Sundae, Banana Ice Cream, Strawberries & Cream, Vanilla Ice Cream. With their rich aroma and potent sweet taste, they will satisfy your sweets cravings in the healthiest way possible. 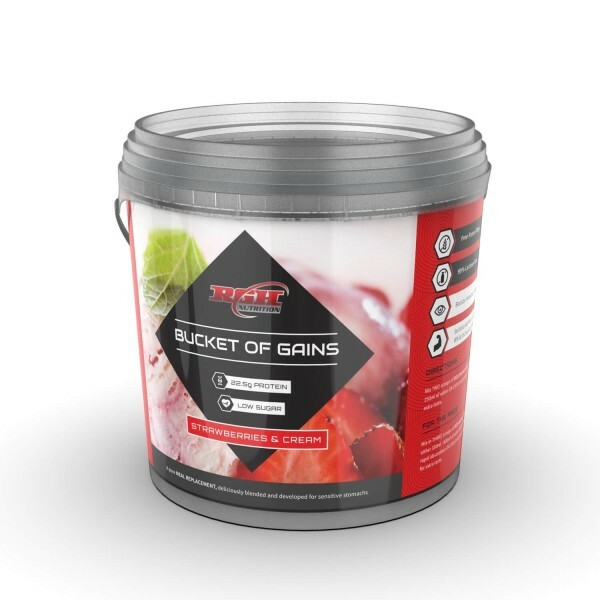 Besides tasting delightfully, our advanced muscle gain powder is masterfully formulated to blend conformably and smoothly, resulting in easy to drink protein gainer smoothie with just 250 ml of water. 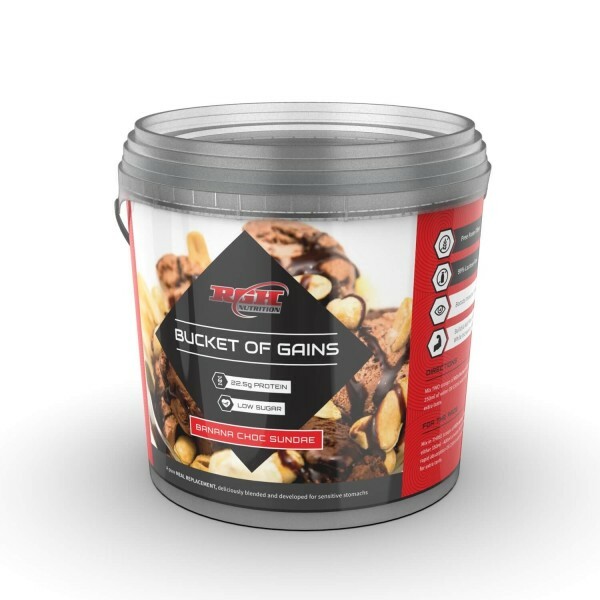 Boost performance, increase strength, muscle mass and size with our new premium gainer. It’s a safe addition to your diet (free of artificial dyes, fillers, gluten & similar harmful ingredients) and your competitive edge to a better body! 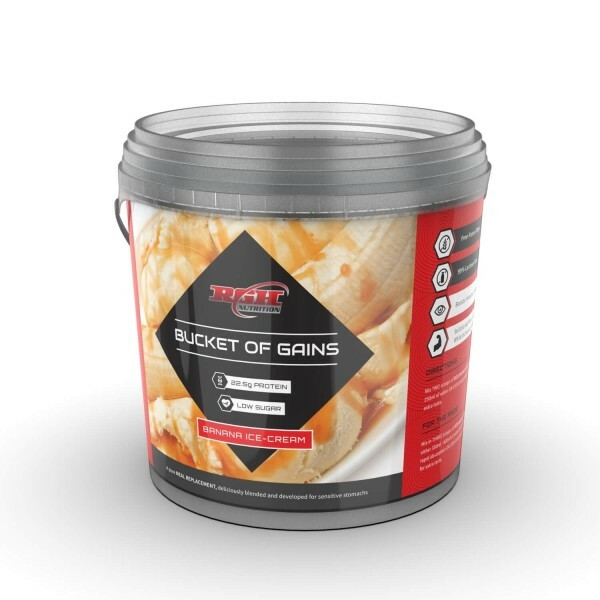 Get Bucket of Gains now risk-free delivered to your doorstep!